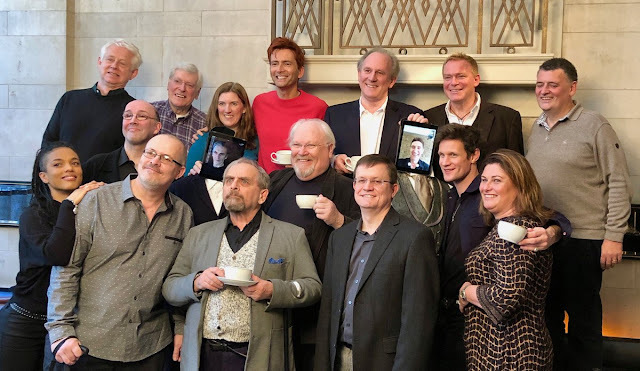 If you noticed a suspicious ripple in the Time Vortex this morning, it was with good reason. 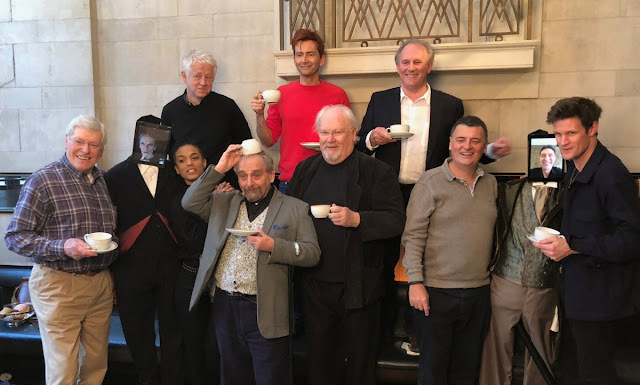 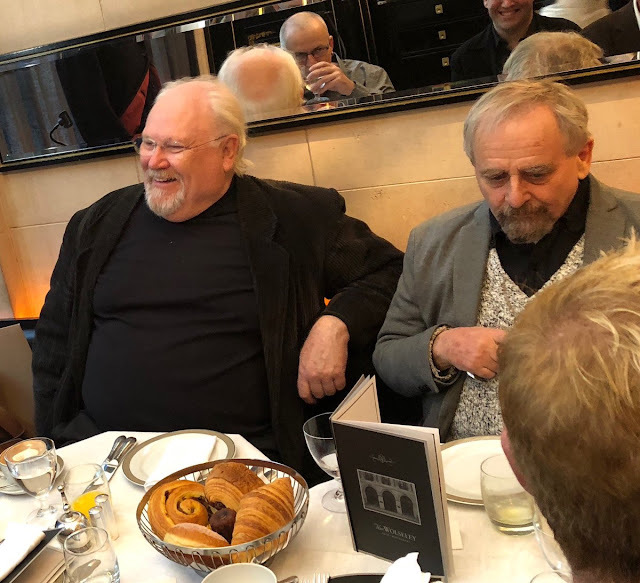 Timelines were criss-crossing at the Wolseley Hotel in London earlier today as seven incarnations of the Doctor got together for breakfast. The event was in aid of Red Nose Day and Red Nose Day USA, the biennial charity event which raises funds for people in need in the UK, US and Africa. 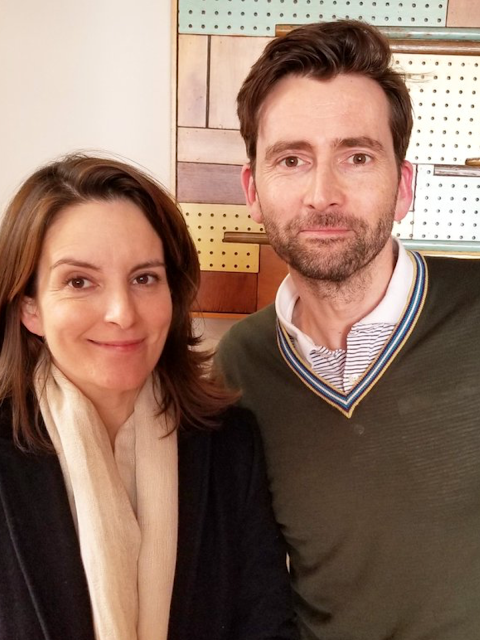 Back in March this year, one of the lots in the Red Nose Day raffle and auction was an opportunity to win breakfast with the Doctors in London. Today was the day that the lucky winners got to claim their prize. 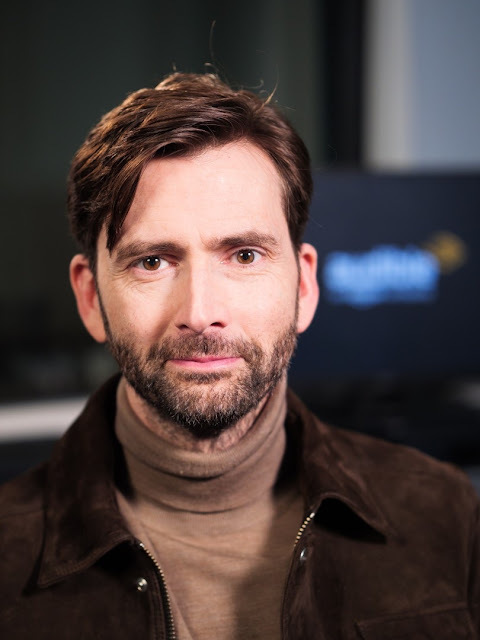 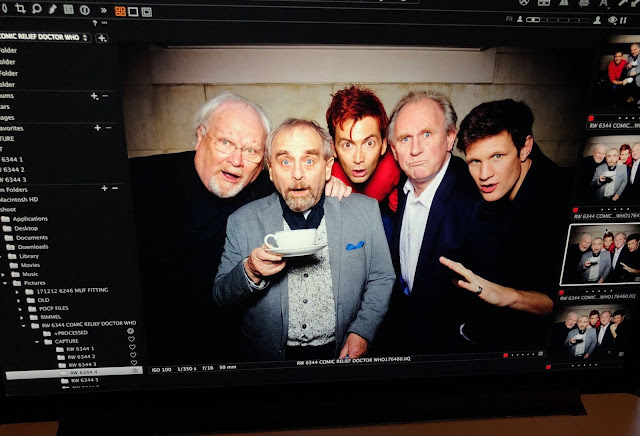 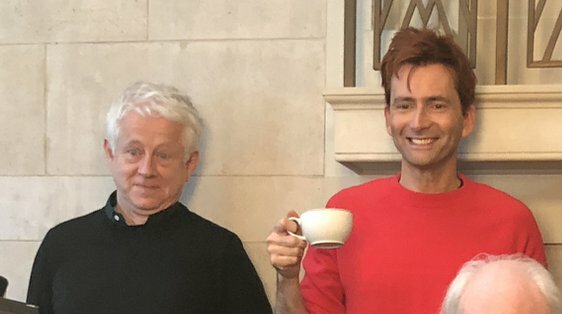 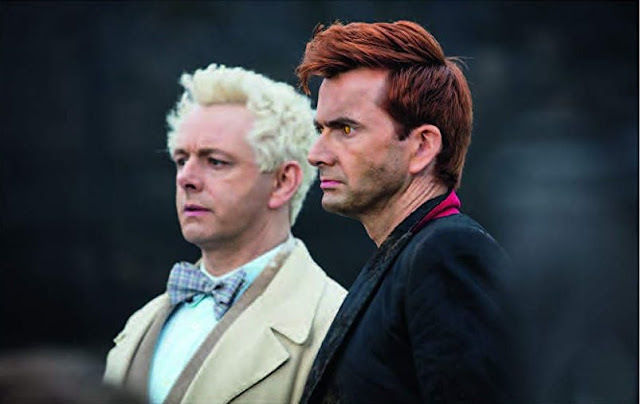 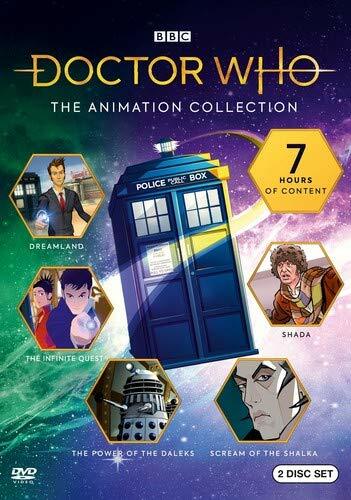 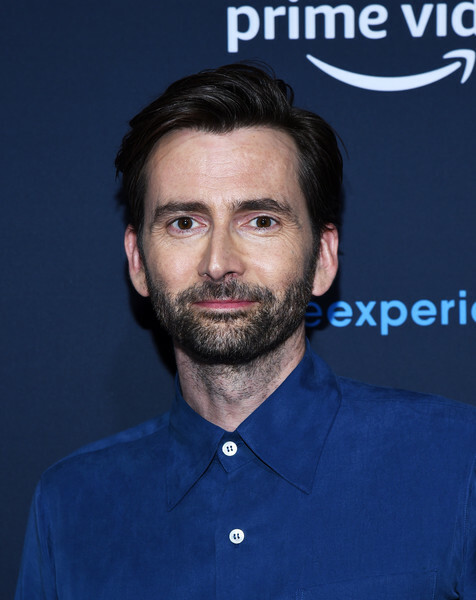 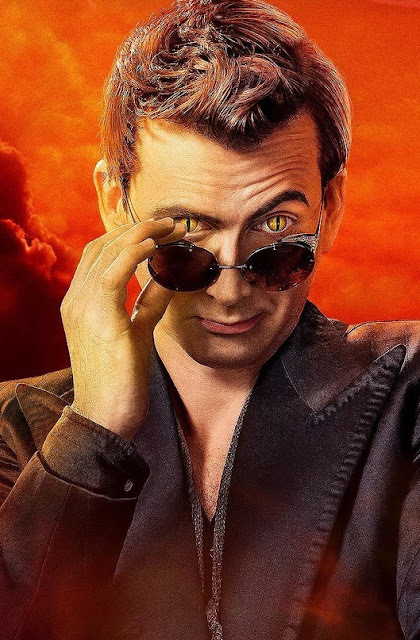 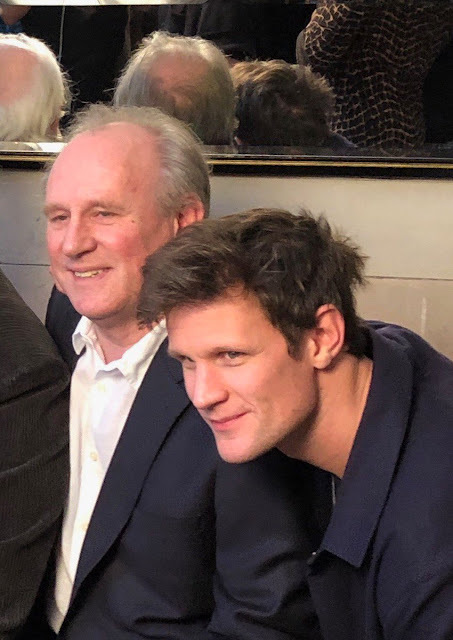 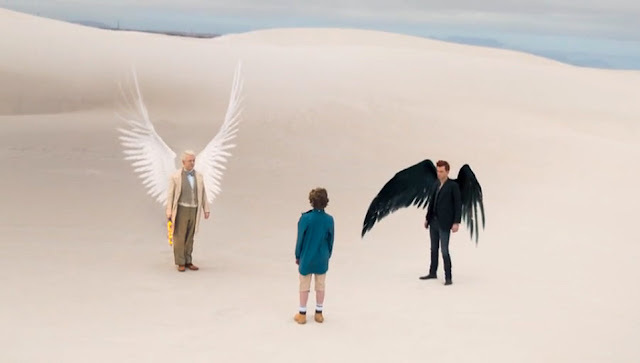 Present at the table for their bacon rolls were former Doctor Who stars David Tennant, Matt Smith, Colin Baker, Peter Davison, Sylvester McCoy and outgoing showrunner Steven Moffat. 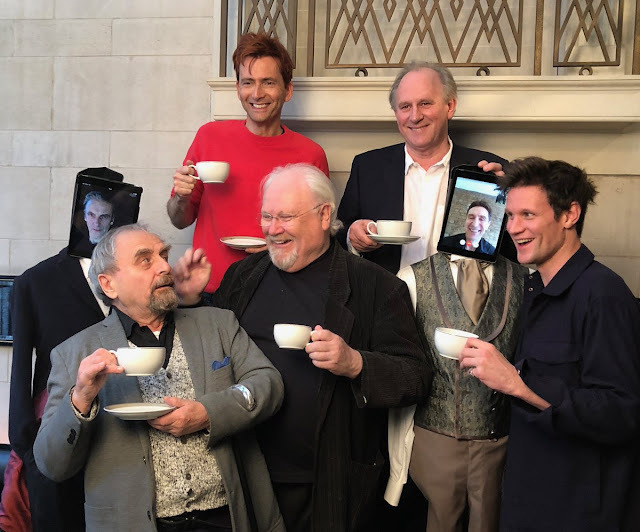 Unfortunately, Peter Capaldi and Paul McGann are currently away filming, but were present via the magic of Facetime, and represented by iPads attached to mannequins wearing their Doctor Who costumes. 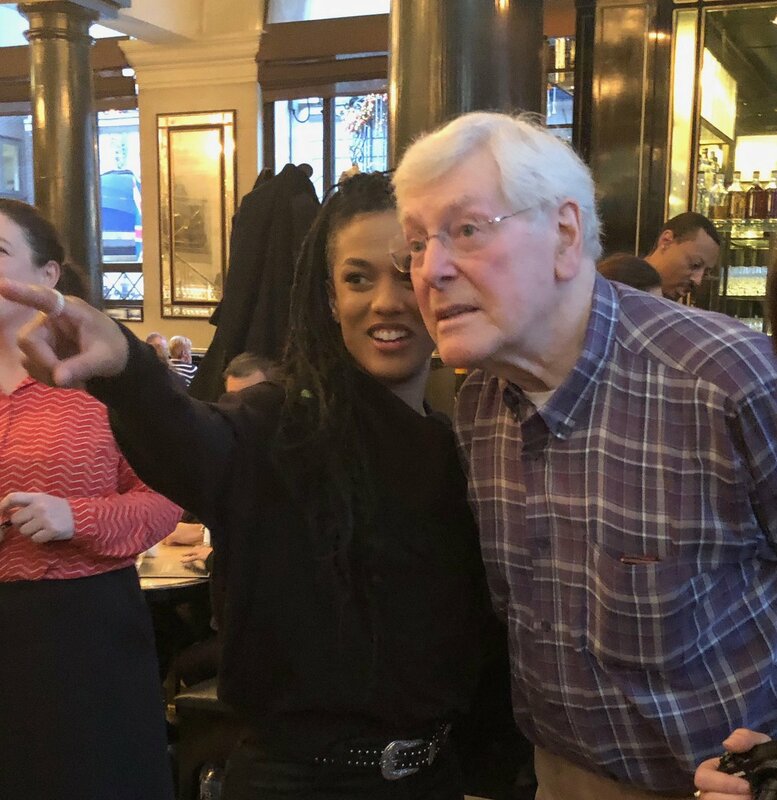 Even the waiters were TARDIS regulars - former companions Freema Agyeman and Peter Purves stepped up to the role. 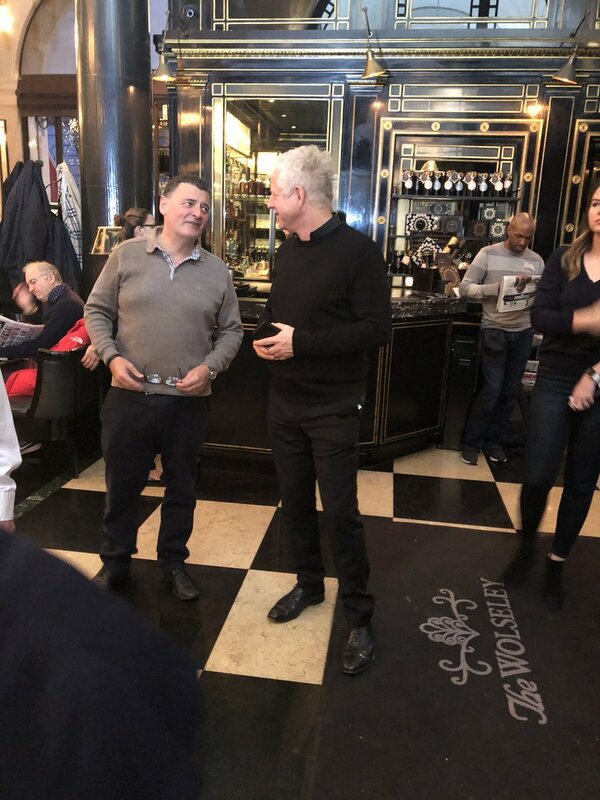 Red Nose Day director Emma Freud attended with her partner Richard Curtis, one of the co-founders of the charity, and tweeted thanks to Givergy and Omaze who managed the raffle and auction which raised £600k to go towards Red Nose Day projects. 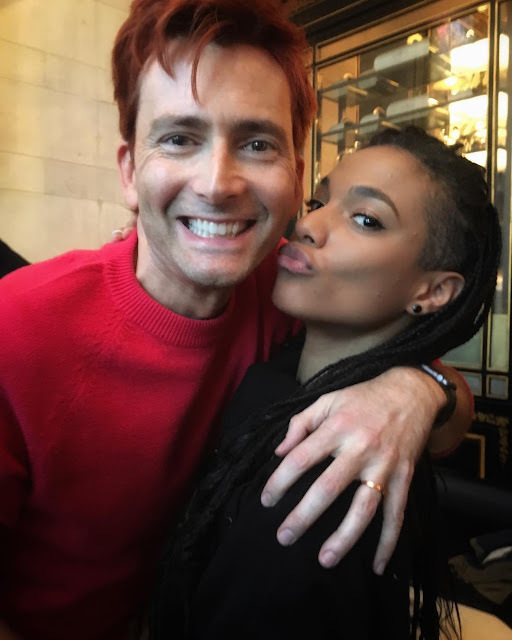 Red Nose Day is part of the charitable organisation Comic Relief. 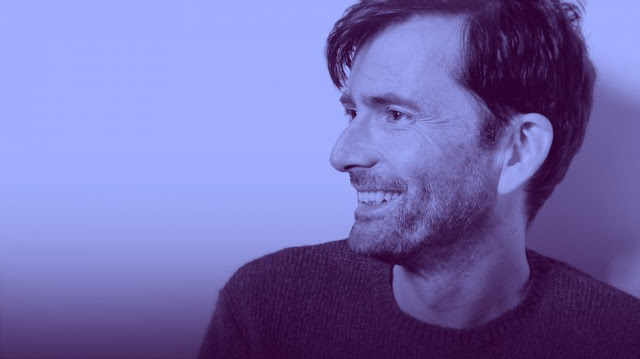 You can read about the projects they support and make a donation here. Check out some photos from the event via Emma Freud and Freema.